Over coffee this morning, my friend asked me if I take requests for blog posts. I never thought about it before, but I asked him what he had in mind. He told me that he has been looking for solid info about what to do with his money once his debt has been paid off. Before I go any further, let me just say that it is impossible for anyone to give blanket financial advice that works for everyone. As much as it would be easy for me to tell you to save 10%, 15% or whatever and you’ll be fine, it’s impossible for me to do that without knowing a whole lot more about you. 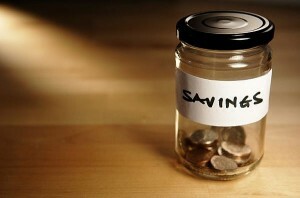 The percentage of income to save that’s appropriate for you will depend on your income, age, the amount of money you’ve already saved, your potential for work, and (perhaps most importantly) how much you’re willing to forego immediate gratification for current and future financial security. It’s not even worth talking about savings if you have debt. I don’t care if you are making X% on investments while only paying X% on your credit card APR. The math ultimately does not work. Get on a debt snowball plan and pay off all debts (minus mortgage) before starting your journey toward saving. An emergency fund is a rainy day fund…just in case. It is for those unexpected events in life: a job loss, a car repair, a major mishap, or whatever. You should save $1000 before you start your debt snowball. After you pay off your debts you need to fully fund your emergency account with 3–6 months of your personal expenses set aside in a savings or money market account. My friend has two years of expenses in his emergency fund. I think that is too much, but if it helps him sleep at night…cool. Are you debt-free minus your house? Awesome! Now it is time to save, save, save. This is also where your unique story comes into play, so my advice is different depending on the individual. Are you 50 and want to retire at 60? Or are you 28 and want to shoot for an early retirement in the near future? At this point, you want to begin with the end in mind: where do you want to be 20 years from now? I will say that, at the very least, you should be maxing out your ROTH IRA, 401(k), or any other pre-tax retirement vehicle you have at your disposal. Can you live with less? Any regular reader of this blog will know that my family and I live with a lot less than we did two years ago. The more you feel that you “need” as far as material possessions are concerned, the more you will need to save (and the harder it will be to do so). If you are able to ditch a material mindset, however, you will find that financial independence may be closer than you think. If you have kids like I do, you must invest in a 529 college savings plan. My wife and I figured that we have two children who will attend college in 10-14 years. By then, college may be approximately $50,000/year, so we will need $400k. How awful is that???? We used a 529 calculator to figure out what we will need and found that it will take $1,000/month to fully cover college for our kids if they receive no scholarship and take out no loans. Think that’s a lot? It is. But if you read my post on car ownership you will see that forgoing a car payment will actually help you pay the full cost of college for your kids. Have you finished all the steps above? If so, congrats! Now you need to put every extra cent toward your mortgage and pay off your home as soon as possible. Can you imagine being debt free including your home? If you can’t imagine paying the home off, perhaps it is time to downsize, don’t you think? After the home payoff, you can experiment with other savings vehicles such as index funds and peer-to-peer lending. Does all of this sound overwhelming? It is. The more I have downsized my life and tried to save the “right” way, the more I realize that most Americans don’t do this. I mean, $1k a month for kids’ college?? Bye bye cars and eating out. Financial independence at an early age? So long 2500 square foot home…but it’s the right (and more sensible) thing to do. It’s never too late to get on board with good savings, but the later you start the more sacrifice you will need to make to right the ship. Every individual is surrounded by a unique situation, and that should be reflected in personal finance advice. Keep life simple and your stuff to a minimum and this is all possible. Oh yeah, and turn off the TV.